Ever want to spice up your summer footwear? The basic sandal gets boring after a while and sometimes you just don’t have time to get a pedicure. Luckily, fashionable cute sneakers are all the rage this year. These Cute Sneakers Will Make Everyone Look at You With Envy all Summer Long. These classic Adidas (named after an American pro tennis player) will give you a whole new outlook on traditional tennis shoes. They’re comfortable and durable, two things you need while running from work to a nighttime swim at the pool. The shoes famously have a little decal on the back that come in a variety of colors—but most people rock green. 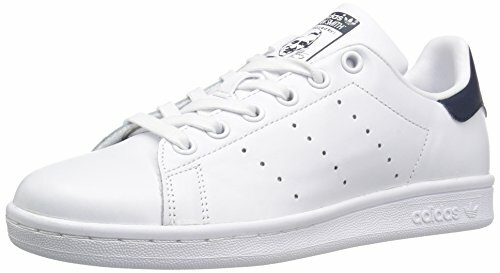 Stans work as an amazing sneaker because you can totally wear them with a dress on a night out on the town or with your favorite pair of Lululemon workout leggings when running errands. They truly serve as a best of both worlds sneaker. 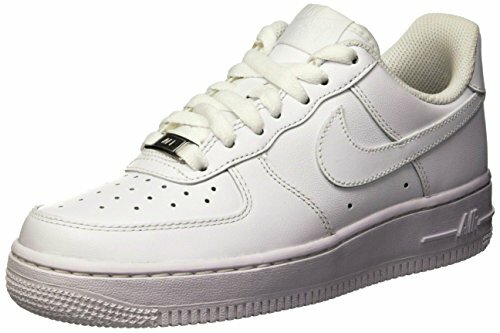 You’ve probably seen these simple white shoes with the three vertical black lines running down on almost every dancing girl in a sweaty frat house basement this year. 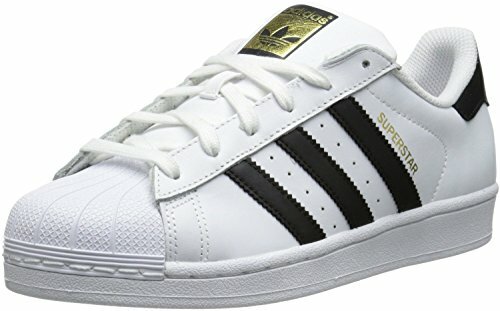 You may have also seen a lot of gals on campus this year sporting their sorority letters along with Adidas All Stars. That’s right—they’re that popular. “They’re my go to pair of shoes because somehow you can dress them up or down and still feel put together,” said American University sophomore Yael Shamouilian. These stylish and comfortable sneakers work for most college occasions, from outside darty BBQs to casual dinners when the fam comes to visit. Now, not many people know about this small French brand, but more people should check it out. They come in a variety of colors and styles, and mainly resemble a simple laced sneaker with the iconic V embroidered on the side. Vejas double as a great walking shoe as well—this comes as no surprise considering they were created in Europe. 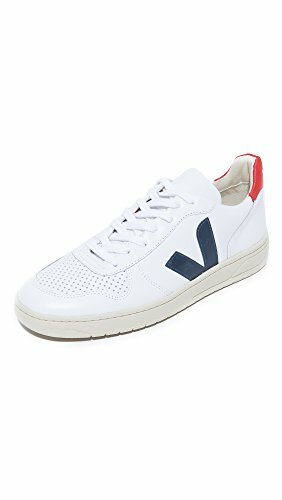 “I saw people wearing Veja[s] when I was abroad, and loved how they look simple but different from the basic white sneaker. After reading more about the company and how they only use sustainably and ethically-farmed materials in their shoes, I was sold, and I wear mine almost every day now,” said AU junior Danielle Siegel. Trust me—the higher cost is well worth it. 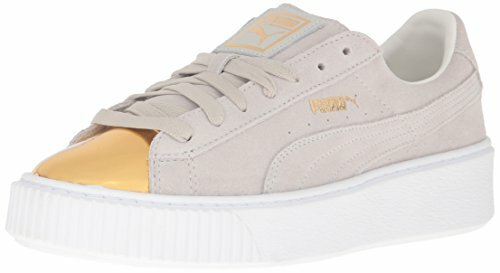 In middle school you may have begged your parents to buy you a pair of suede hot pink or baby blue pumas. Nowadays you’ll beg for a different, cooler version of your fave childhood shoes. These babies are made for walking with a gold toe and small platform. These shoes are not for shy folks—be prepared for oodles of attention from everyone when sporting these statement sneaks. They cost a little more than your average but their quality is second to none and the compliments you’ll get from your shoe style after purchasing them are priceless. These simple sneakers rose to fame out of nowhere but now almost everyone has a pair. 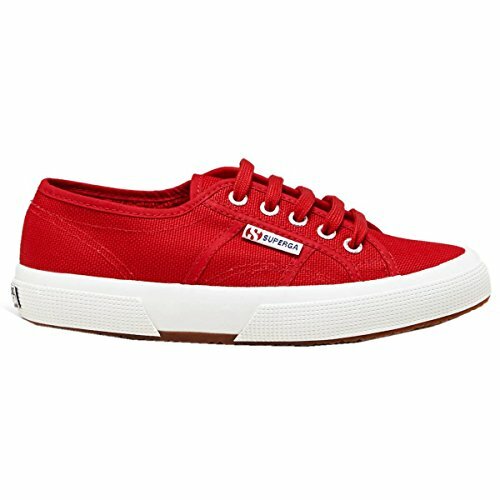 Supergas shoes are simple style and simple colored; they work great for people who love a nice clean shoe. Some have even described these kicks as a cooler version of Converse because of the style and color schemes. Not only are these shoes stylish, but they’re also affordable. You’ll find them at a range of places including DSW, Nordstrom and even everyone’s favorite, Target. If you get tired of this brand’s classic look or you’re looking to gain a few inches, fear not. They also come in a special platform version. “I have a pair of each in white and I can just throw them on with any outfit! They’re comfortable and easy to wear,” said AU junior Celine Charmey. Who doesn’t love a classic Nike sneaker to get you through some summer errands? These shoes scream retro and will take you back to an episode of the Fresh Prince. Nike Airs are the freshest on this list and go with almost every outfit. You could even wear them poolside with a cool enough swimsuit. “My Air Force ones are the best. I got them because everyone had them in Europe and I loved how they looked. Mine are so dirty because I wear them everywhere so I’m probably buying a new pair soon,” said AU senior Lena Cohen. With either high top or low tops, these shoes always come out on top. Talk about a classic shoe. 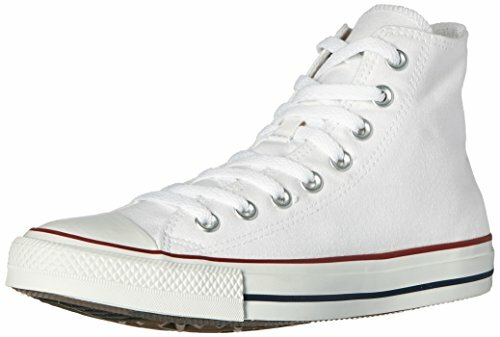 For a style that works well with literally everything, look no further than some old fashioned Chuck Taylors. You’ll find countless versions of this classic shoe but the high top white sneaker equals a popular choice for many. 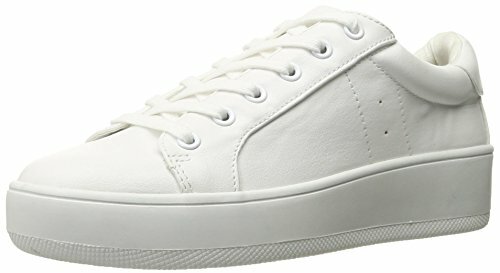 We could all use a durable white sneaker that will last through every frat party. These white sneakers may get dirty but you can just throw them right in the washing machine, and bam they come out good as new. I mean hello, there’s a reason why Converse stay in style through the years. Steve Madden makes the most amazing look for less shoes. His new white platform sneaker, the “Bertie,” works as the perfect amount of platform for those who feel unsure about this new trend. You can walk around any city in these sneaks without worrying about developing nasty blisters. The Bertie works well if you want to act like your fave Spice Girl for the day. They seriously bring together new and old in the perfect way. You may recognize these shows on Kim Kardashian’s insta, where North West was seen sporting these shoes for quite a while. Then the whole Kardashian clan got on board and skyrocketed the sales of this casual little shoe. These cute sneakers, coined the “old skools,” are stylish times 10. They’re black with a white horizontal line that runs down the sneaker. Even better? These shoes don’t get as dirty because of the durable material and dark color. They are just the right amount of grunge and style with a little bit of retro thrown in. 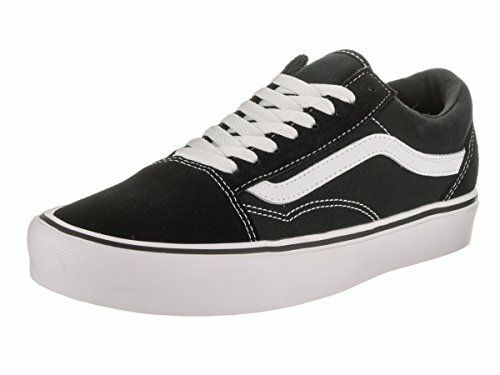 “Old skools” create the chance for us wannabe skater girls to also keep up with the Kardashians. “I like them because you can wear them with anything and black is a year round color. They are also pretty comfortable and I wear them in a multitude of settings,” said AU sophomore Lily Morris. Talk about a retro look. 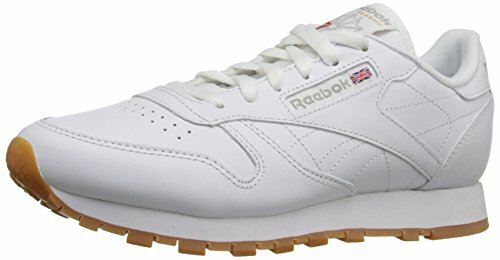 These Reeboks are making a comeback from the 80s. Not only a comfort shoes with extra padding and arch support, but they’re stylish, sleek and white, AKA the perfect combo for any casual summer activity. You can rock them while running to catch the bus or going for a casual walk on the boardwalk. They’re cute AF as well–the newest version of the Reebok Classics have a tan bottom and can even be customized. These sneakers would pair well with light weight joggers and even athletic shorts. In other words? You’ll never need to take them off. I am a senior at American University studying broadcast journalism. One day I hope to be the next Kim Kardashian, but better (sorry Kim). In my free time I enjoy singing Karaoke and walking on the StairMaster. I love pizza, aliens, and Kanye West. I am originally from the Jersey Shore so the rest about me is self explanatory.